Start off your visit on the 27th (Wed): view the masterpieces at Bones and Jones and then tour the pleasant surroundings at Trinity Beach. For more things to do, photos, reviews, and other tourist information, refer to the Cairns online route planner . Playa del Carmen, Mexico to Cairns is an approximately 27-hour flight. You can also do a combination of ferry and flight; or do a combination of bus and flight. The time zone difference moving from Eastern Standard Time (EST) to Australian Eastern Standard Time (Queensland) (AEST) is 15 hours. Prepare for somewhat warmer weather when traveling from Playa del Carmen in March: high temperatures in Cairns hover around 36°C and lows are around 27°C. On the 27th (Wed), wrap the sightseeing up by early afternoon so you can travel to Sydney. 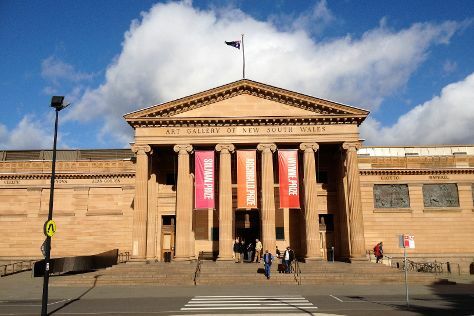 Start off your visit on the 28th (Thu): admire the natural beauty at Chinese Garden of Friendship, steep yourself in history at St. Mary's Cathedral, and then explore the world behind art at Art Gallery of New South Wales. For reviews, traveler tips, where to stay, and other tourist information, read Sydney journey builder tool . Traveling by flight from Cairns to Sydney takes 6 hours. Alternatively, you can drive; or take a train. Plan for slightly colder temperatures traveling from Cairns in March, with highs in Sydney at 30°C and lows at 22°C. Wrap up your sightseeing by early afternoon on the 28th (Thu) to allow enough time to travel back home.